Taste of the World is a celebration of the diversity of culture at Waldorf University. Waldorf students from all over the world will share their culture’s food, music, dance, stories and customs. 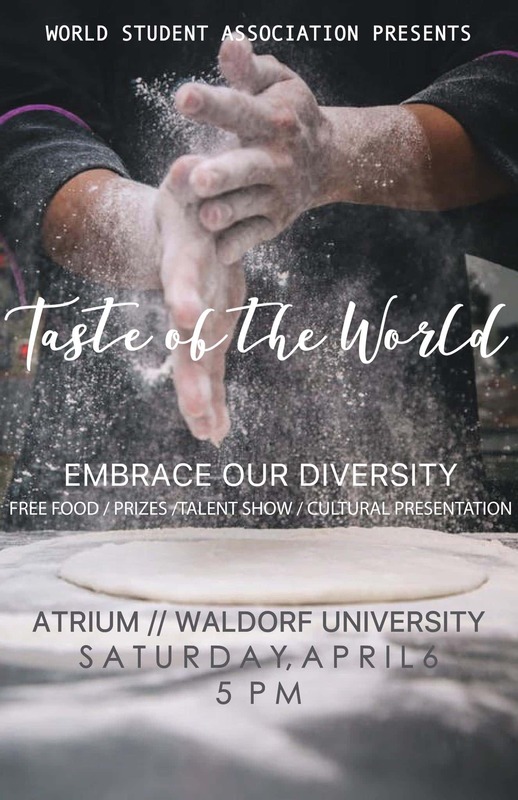 People who attend the event will be able to sample dishes from many different countries and see performances from the Waldorf University students. The event is free and open to the public.